The editorial board of Clinical Practice in Athletic Training is seeking manuscript submissions from athletic trainers, educators, graduate students, and researchers focused on practice-based, outcomes, and action research within the field as it relates to clinician-friendly measures at the point-of-care. 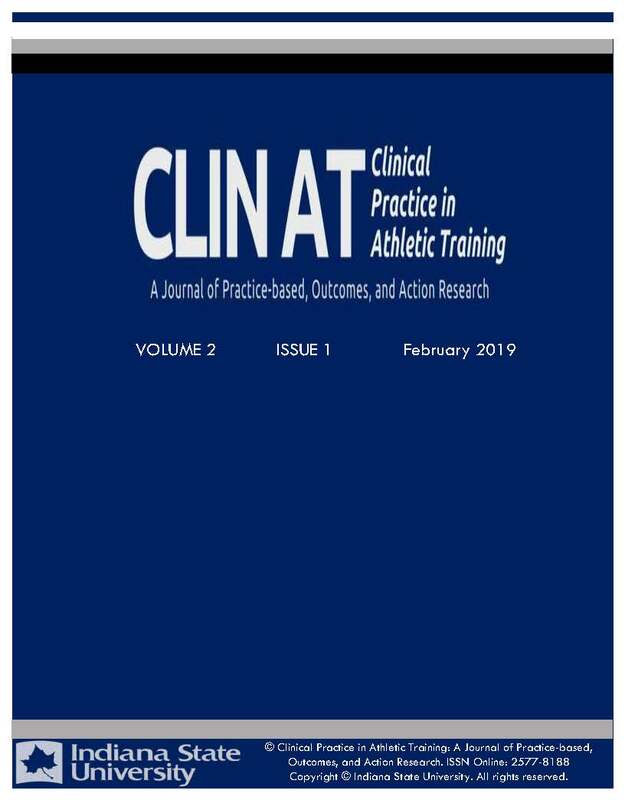 We are seeking submissions for Volume 2, Issue 1 of Clin AT expected to be published in February 2019. Clinical Practice in Athletic Training is supported by funding from the More To Blue Strategic Plan at Indiana State University.